Certified Automotive are qualified in all aspects of Logbook Servicing. Certified Automotive perform your Logbook service without affecting your Manufacturer’s Warranty. All log book car services are completed according to your manufacturer’s specifications. 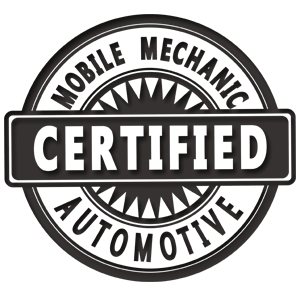 Certified Automotive will stamp your Logbook to keep your records up to date. Certified Automotive only use top quality parts, fluids and lubricants. Fully equipped Mobile mechanical workshops manned by qualified and experienced mechanics. Jamie was very friendly and easy to talk to and made my pre purchasing inspection a breeze and was far the cheapest mobile mechanic i could find on short notice! He was also on time, was quick to send through his inspection notes and 2 days later I have purchased the car and could not be happier! Will definitely be recommending his business to friends and others!